*The examples in this post are overly simplified for the sake of understanding and illustration. If you are interested in learning more I have several good books I can recommend or you can just apply to a Ph.D. program in developing economics ;). When I first came to Tanzania so many things were new that it was hard to pay attention to everything. There were so many new experiences, different foods (poop soup with interesting smell), several new languages, and variously colored money that it could at times be overwhelming. The one thing that was not surprising was the poverty. I mean come on, its African right, everyone is poor!?! I have seen the pictures and TV commercials. I watched Slum Dog Millionaire (which I hope most people rightly point out was in India and not Africa). So when someone would come up and beg for something to eat, I didn't think anything about their poverty. When people would beg me to buy something from them so that they would be able to buy some food I was glad that they were working instead of just begging. It was not until later that I realized it was still a form of begging. It was not until later that I realized I was watching one of the worst affects that poverty, long-term, generational poverty, can have on people. It was not until later, after some relationships, experiences, and some good books, that I realized what I was seeing. I was seeing a group of people who have accepted the message that their suffering is worth more than their work. I was seeing a group of people who have learned to see that their darkest, weakest moments are greater assets than their strength, light, and ability. How many years does that kind of message take to set in? I don’t know, but it has been going on for long enough here, that is for sure. What does it take for a group of proud, tough people like the warrior Kuria tribe to turn into beggars? When did they learn that their suffering was worth more than their work? There is probably a deeper history here than I have the education and experience to express, but let me give you two snap-shots and maybe you will come to the same understanding that I have (maybe not). A company starts up a business in a developing country. They produce a product that the American public wants and they produce it cheaply so that the American public will buy it and the company can still make a product. A good business model so far, right? However, they are able to produce it cheaply because they pay low wages to workers in bad conditions. So the American consumer receives a cheap product, but has to pay taxes because the American government is sending billions of dollars a year to this same developing country for development because the people of that country are suffering. This scenario doesn’t even get into the money that goes on under the table in order to reach an agreement that assures a low tax bracket for the international company making a cheap product by way of cheap resources and labor. Before you start crying foul on the big company, the only reason they do this is because we continue to choose cheap products over more expensive products that people are paid decent money to make. "So how does this result in me rewarding suffering over hard effort?" you ask. Good question, your answer is found in snap-shot #2. This bring this onto a more personal level. 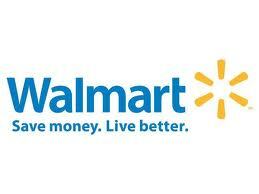 Have you ever shopped at Walmart in order to save money? 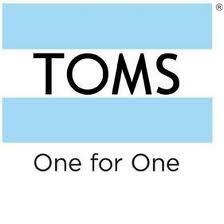 (see example above) Have you also bought a pair of TOMS so that another person would have a pair of shoes? If you have done both of these things you have said to someone through your purchases that their work, the actual labor they put into making a product for me to use is not worth me paying an increased price, say $40 for a pair of shoes instead of $20. However, your suffering is worth me paying $58 (just checked the website) for a pair of shoes so that your child can be given a pair of shoes that you can’t afford on your own. Your work is not worth enough for me to pay a fair price so that you can buy your own shoes and a pair of socks to go with them, but your suffering is worth enough for me to give you a pair of shoes...as long as you don't work for them. Over and over again we are telling people that their suffering is worth more than their work, and they are listening. I know they are listening because I can walk around town and am hit up to buy things, not because of the value of the product, but because of the suffering of the person. They had to have learned this from somewhere. They now think that good advertising means advertising their need, instead of advertising their skills or products (the result of their work). I know this because the hard workers I know here in Tanzania work 6-7 days a week trying to provide for their families and instead of seeing Africa as a place of investment, we more often see it as a place of charity. I hear in it the common cries of children asking for money, as if every foreigner is rich and every African is poor. The way that we approach helping the poor says so much about what we value in the poor, and what we find in their lives that is worthy of our response. Most often it is not their work and effort, but their suffering. We unintentionally reward suffering and elevate the despair of a people without many options instead of purposefully rewarding hard work and elevating hope. SOO what is next? I am hoping you are asking that question. I hope that you don't think I am being self-righteous or am just out trying to make everyone feel bad. There is a point to this and there is a solution. Please read the follow up to this article which will be published in a few days. It goes from this picture of current circumstances and tries to offer a few options for where we can go from here in rewarding work and promoting hope. Join us in this work, or at least what we are trying to do.